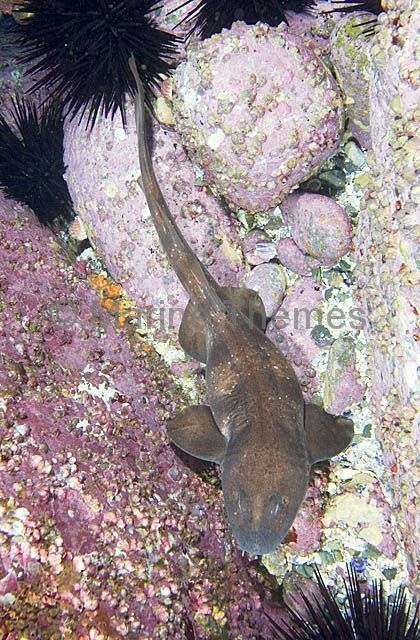 Blind Shark (Brachaelurus waddi) foraging over reef for crabs at night. 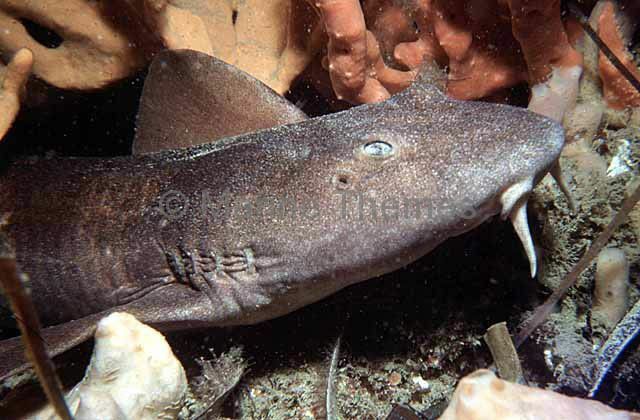 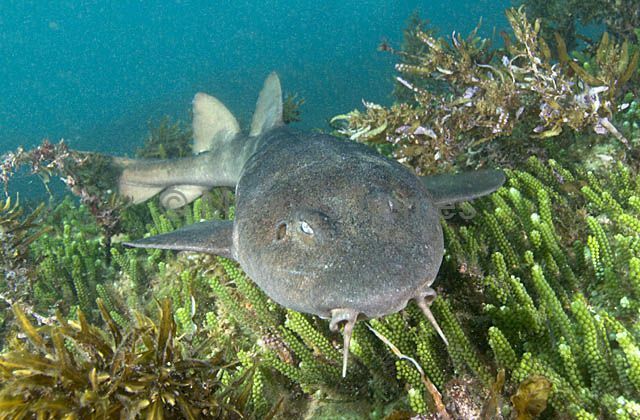 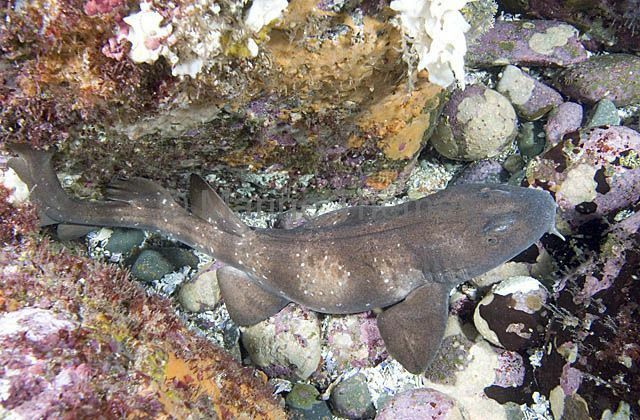 Blind Shark (Brachaelurus waddi) foraging amoung boulders for small shells and crustaceans. 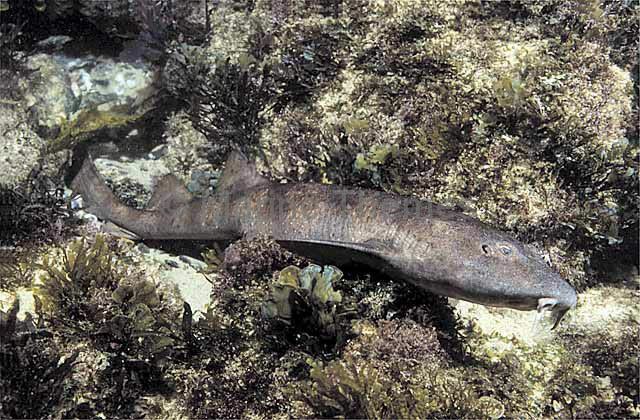 Blind Shark (Brachaelurus waddi) swimming over temperate reef growth.